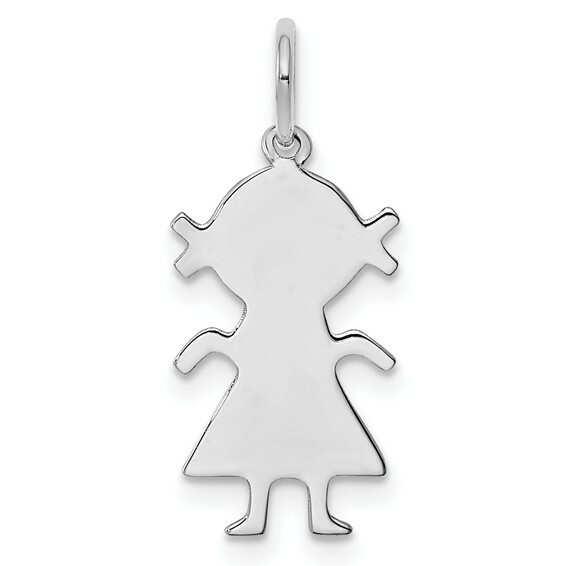 Engravable girl charm is made of sterling silver. Measures 9/16 inch tall by 5/16 inch wide without bail. Weight:0.5 grams. Thickness: .018in. Made in USA. The charm is beautiful! There is not much weight to it!